How Will the Advent of Driverless Trucks Affect the Supply Chain? Home Business How Will the Advent of Driverless Trucks Affect the Supply Chain? Another version of this article originally appeared on DC Velocity. There has been a significant increase during the past few years in the use of robotics in the logistics industry with significant attention focused on warehousing and drone capabilities. Another area that is growing in both demand and capabilities is that of autonomous vehicles to transport freight. This new method of automation will soon put driverless freight vehicles on America’s roads and freeways. Some experts argue that transportation is not a value add to the supply chain because of its associated costs — driver salaries, vehicle maintenance and depreciation. In actuality, automation does increase value because it reduces the normal costs associated with transportation. Automation of freight road transportation will affect several aspects of the supply chain industry, including value, outsourcing, road congestion, environmental concerns, safety and lead times. Alex Rodrigues is the CEO and co-founder of Embark, a San Francisco-based company pursuing self-driving technologies. Rodrigues got the idea for his business when he noticed that so many trucks on the road had “drivers wanted” signs on them. His idea was to increase per-driver productivity and prevent a future driver shortage by designing driverless trucks. 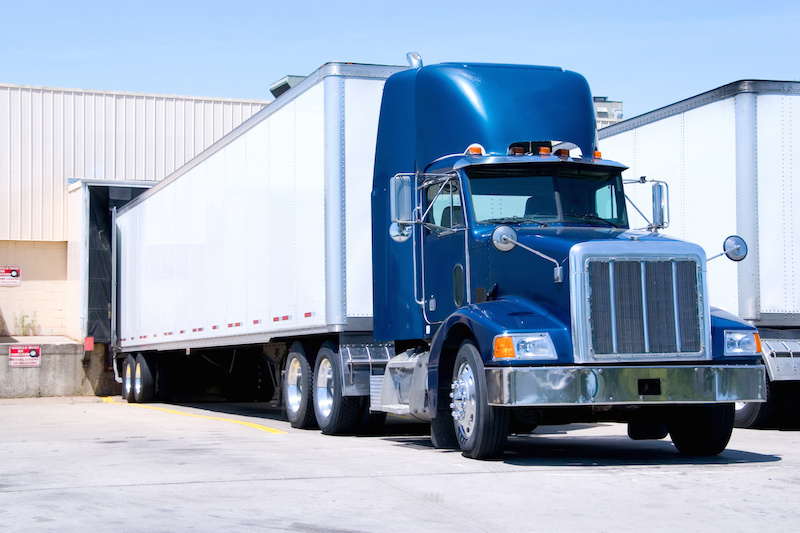 According to the American Trucking Association, 70 percent of goods consumed in the United States are moved by truck. But to meet the rising demand for products, the industry needs to hire almost 900,000 additional drivers. But in an industry in which the average driver’s age is 55, trucking companies cannot meet that demand because current drivers are retiring and new hires are hard to find. Moreover, recent federal mandates have not helped the situation, specifically the requirement that all drivers log their hours on electronic devices. As a result, drivers are working fewer hours each day even as companies must raise their wages to retain them. One result is retailers are delaying non-essential shipments or paying higher prices for delivery. In either case, that raises the cost for products across multiple markets and decreases the value associated with transportation within the global supply chain industry. There is no end in sight to the driver shortage because the lifestyle is no longer appealing to young workers. Autonomous vehicles that can either assist drivers or operate without human interaction is a potential solution to the dearth of drivers. Airlines have used automation in the cockpit for years. Autopilot technology in the cab would require truck drivers to work like airline pilots. The onboard autopilot would control acceleration, braking, lane-centering and cruise control. A truck driver in the cab would monitor all systems and be ready to intervene if something were to go wrong. The armed forces and civilian companies are already using autonomous drones for shipping. But autonomous shipping in the trucking industry did not gain much traction until recently. With the goals of improving safety, lowering environmental impacts, increasing efficiency and overcoming the driver shortage, numerous companies are now embracing this technology because demand and profitability are high. In the United States, private companies such as Embark, Tesla, Waymo and Otto have led efforts to bring about some of these levels of operation. Given the high level of artificial intelligence (AI) technology needed and the associated interstate regulatory challenges, the highest level of autonomous operations, full automation, is still far from being a solution to the trucker shortage needed to meet future market demands. Even so, these companies have developed technologies that permit trucks to drive from exit to exit on highways without human interaction. These companies have also tested trucks that drive autonomously in groups. Known as platooning, multiple unmanned vehicles closely follow a lead vehicle that is operated by a truck driver. The closest level any firms have come to meeting the SAE levels is partial automation. At that level, operators still need to be in the vehicles to monitor the controls or take the wheel when the automation system can’t handle road conditions such as within city road or severe weather. Embark has experimented with driverless trucks that can travel on highways by using AI technology and a combination of radars, cameras and depth perception sensors. But the technology still requires an operator to take control of the vehicle once it exits the highway and starts operating within city limits. Tesla has also developed similar autopilot technology for its Tesla Semi. This truck is a fully electric semi-truck that can carry an 80,000-pound load up to 500 miles on a single charge. Another advanced automation system being tested is Driver-Assistive Truck Platooning (DATP). With this technology, a driver can operate a single truck while sensors, radars and vehicle-to-vehicle communication allow several unmanned trucks to operate in a convoy as a single unit. Peloton, a pioneer in this technology, conducted a live demonstration of DATP on December 1, 2017, in Michigan. The test also was successful in reducing fuel consumption. The Department of Defense is testing this technology on the Oshkosh TerraMax Unmanned Ground Vehicle. The technology integrates high-power military computers, intelligence, drive-by-wire technology and state-of-the-art distributed sensing systems. One driver can operate up to five vehicles in a convoy. The TerraMax is expected to undergo live-fire, long-haul testing this spring at Twentynine Palms, California. DATP technology qualifies as level 2 of autonomous operations, driver assistance automation. But it sets a course toward future full automation without human interaction. Although fully autonomous vehicles are still a work in progress, companies such as Tesla, Embark and Peloton are paving the way for the future, providing solutions now to those willing to invest. Logistics companies need to prepare for automation sooner rather than later because this emerging technology is moving along quickly. Russell Parker is a Marine Corps Captain logistics officer and currently stationed at 29 Palms, CA. A Cleveland, Ohio native, he has deployed four times in support of Operations Iraqi and Enduring Freedom as a motor transportation platoon commander, company commander and a joint staff officer.